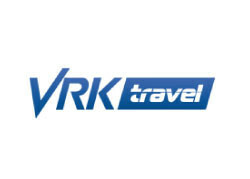 VRK Travel Ltd. operates in Latvia and Lithuania as a travel agent and tour operator since 2012. According to Regulation No. 380, June 26, 2018, VRK Travel Ltd. fulfilled all requirements and received a license to provide tour operator services Nr. T-2018-4. We offer: holiday tours in Europe and to exotic countries to more than 100 destinations worldwide; competitive prices; discounts for group travel; individual travel arrangements; airline tickets; visa processing. Our mission: to provide travelers with unforgettable experience, bright memories and good mood. Our employees are professionals who love their work and evaluate customer feedback to expand travel destination offers and increase the quality of services. We are traveling by comfortable buses with the capacity up to 70 passengers. Excursions are run by certified team leaders, highly qualified guides with great work experience. For the convenience of our customers and partners we use the latest IT technologies, in 2018 we have created an electronic reservation system. Our goals: strengthening relations with partners; increase the range of offers by opening new destinations; strengthen the company's reputation through continuous improvement of service quality; make more use of IT technologies.